AA Carpet Cleaners Brentwood, Chelmsford, Billericay, Danbury 01277 374455. 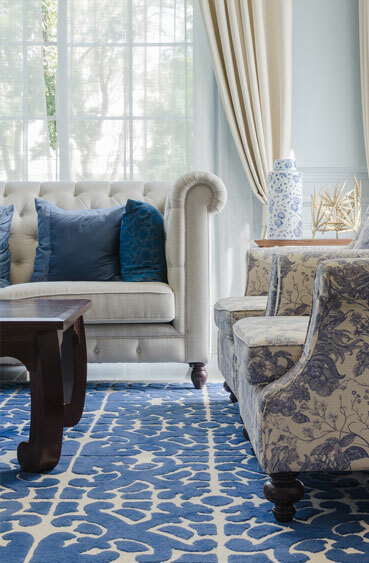 Upholstered furniture is one of the major investments in any home, so it is therefore important that it is maintained correctly to avoid premature wear. Take the gamble out of choosing an upholstery cleaning company. With our technicians’ combined experience of over one hundred and ten years and as full senior members of the National Carpet Cleaners Association (for the past thirty nine years), IICRC accredited and the Woolsafe Organisation, you can be assured of our credentials. You can have beautiful upholstered furniture and a healthy environment at the same time. Our specialist technicians and powerful equipment will clean your upholstery for maximum removal of soil and contaminates. Your upholstery will be beautiful and you will breathe easier. Established in 1978 and with over 41 years' experience, AA Carpet Cleaners offer specialist cleans to all types of upholstery using three different methods. 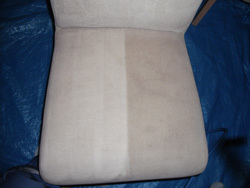 All upholstery is carefully inspected prior to cleaning before the most appropriate method is used for your upholstery. All fabrics cleaned including: Cottons, Linens, Chenille, Dralon, Real Velvets, Tapestry, Chintz, Alcantara and Flock, Flat Weaves, Brocade and Leather - in fact any type / combination of upholstery! We clean both domestic and commercial furniture, be it a 3-piece suite, corner unit, dining room or easy chairs. We also clean boat, car and caravan interiors, using a combination of dry and wet methods to suit your fabric's requirements. Stain Protection which resists oil and water based spills and keeps fabrics cleaner for longer. This can be applied to cleaned and new upholstery alike. We are recommended by furniture retailers including Hatfields,Co-op Quadrant, Marks and Spencer, Clement Jocelyne, Harveys, Fishpools and other fine stores. "Paul was courteous, professional & receptive to our requirements. Good old fashioned personal service." A FREE sample of our stain remover is left with every client after every job. Ask about our Customer Referral Programme. SEE HOW GOOD YOUR UPHOLSTERY WILL LOOK!